Neal Broten sped past center ice and whipped a hard shot into the corner just before reaching the blue line. 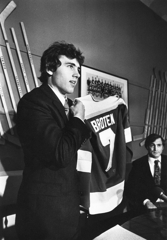 It was an odd decision for Broten, a superb playmaker who had a knack for creating scoring chances out of thin air. To see Roseau’s puckhandling maestro taking an unimaginative, dump-and-chase approach was the out-of-character equivalent of Mozart composing a Raffi-style children’s song. Former Roseau coach Gary Hokanson watched the play develop with a raised eyebrow. 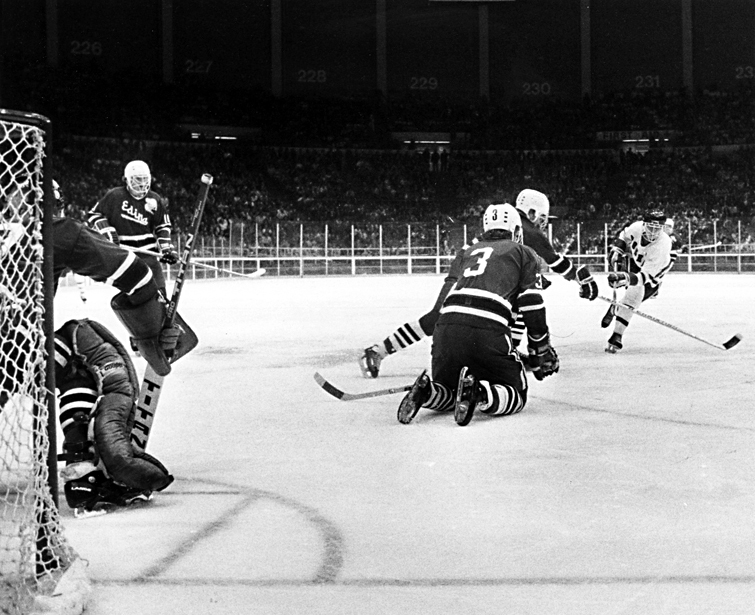 Just as Broten unloaded his shot, Rams speedy wing Bryan “Butsy” Erickson raced toward the front of the net. The puck caromed out of the corner and straight into the slot. Erickson shot it into the upper corner of the net without breaking stride. “It was one of those moments where you shake your head and say, ‘Did that really happen?’ ” Hokanson said. “That should have been videotaped, because it was hard to believe even if you saw it. Broten knew every inch of Roseau’s home rink, most notably the dead and lively spots in the boards. He played the angles masterfully, like Willie Mosconi working a billiards table. 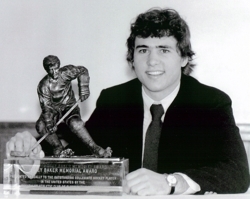 Neal Broten scored 120 points, including 77 assists, in 26 games as a senior in 1977-78. Only three players in state history have higher single-season scoring totals. “He was really the leader, the one who propelled us,” Erickson said. 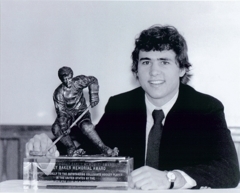 Aaron Broten, a junior who would play 748 regular season NHL games, had 106 points and Erickson, a senior who played in 351 NHL games, had 79 in 1977-78. 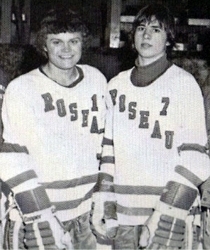 Roseau was so dominant that season that Hokanson sent his top trio to the showers after the second period in seven or eight regular season games. By the start of the third period, it wasn’t uncommon to see Broten, Broten and Erickson in the bleachers munching on popcorn and cheering their teammates to victory. Ridiculous, video game scoring totals were routine for Neal Broten. 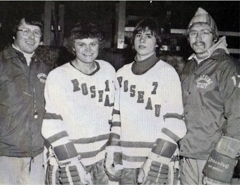 A youth hockey phenom who typically was bumped to older age groups, Broten was playing on the Roseau varsity as a freshman in 1974-75. 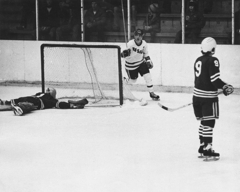 Roseau reached the state tournament that season, losing both its games. The Rams were 23-0 as they reached the state tournament again in 1977. High-powered and highly ranked Roseau lost in stunning fashion, falling to Edina East 2-0 in the quarterfinals. Roseau beat Mounds View 5-3 in the consolation semifinals, then lost 5-3 to Hill-Murray in the consolation championship. Broten had a goal and an assist in the loss to Hill-Murray. 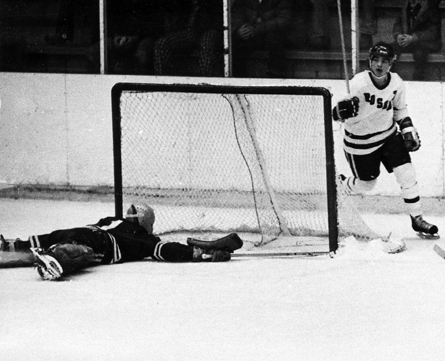 “Neal was just like (Wayne) Gretzky in that he could look ahead and plan where the puck would go,” said Terry Abram, the former Roseau who coach stepped down after the 1976-77 season. “He knew how to hold the puck to the very last second before he would feed it off. He just knew how to hold the puck, hold the puck. 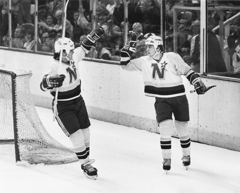 Hokanson put the Brotens and Erickson on a line for the first time in their careers to start the 1977-78 season, and Roseau again was 23-0 as it entered the state tournament. Again, the Rams lost to Edina East, this time in the semifinals. Roseau took third place, beating Mounds View 4-3. Neal still holds the state tournament record for most assists in a period as he had four in the first period in the win over the Mustangs. 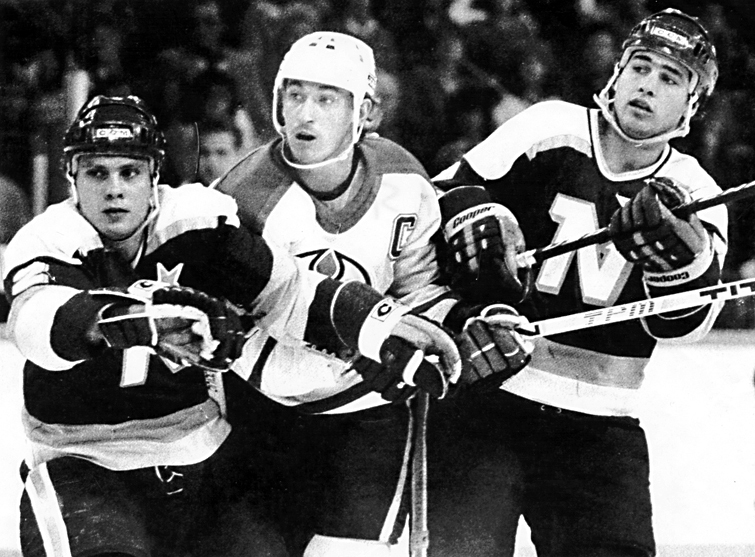 Broten, who stood just 5-foot-9 and weighed 160 pounds, wasn’t going to pound opponents into submission in the corners. 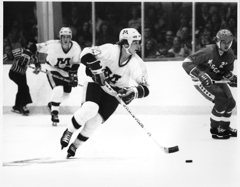 Many observers had the working theory that Broten’s lack of size and physical play would eventually lead to a precipitous drop in his scoring production, if not in high school, then certainly in college and, most definitely, in the pros. 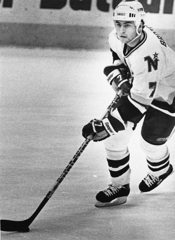 Broten scored 21 goals and added 50 assists as a freshman at the University of Minnesota. 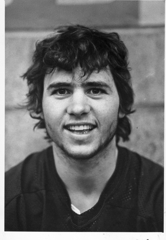 He scored the winning goal while diving to the ice in the Gophers’ 4-3 victory over North Dakota in the championship of the 1979 NCAA tournament. 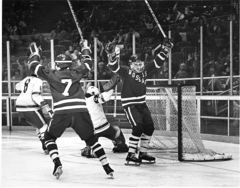 Gophers coach Herb Brooks chose Broten for the 1980 U.S. “Miracle on Ice” Olympic team that stunned the Soviet Union en route to the gold medal. 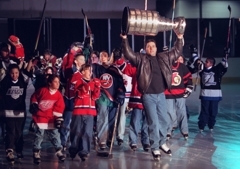 Broten, became the only player in history to win NCAA, Olympic and NHL championships in 1995 when he helped the New Jersey Devils win the Stanley Cup. 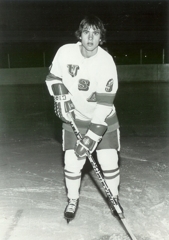 After spending the 1979-80 season with the U.S. Olympic team, Broten returned to the University of Minnesota and in 1981 won the inaugural Hobey Baker award given to the nation’s top collegiate player. Broten played in 1,099 regular season NHL games during his 18 seasons in the NHL. 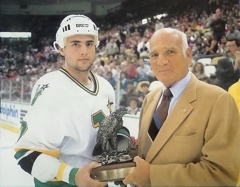 Broten, who played 13 seasons for the Minnesota North Stars, scored 105 points during the 1985-86 season and was selected for the NHL All-Star Game in 1983 and 1986. He retried from pro hockey in 1997 and lives in River Falls, Wis., where he and his wife, Sally, manage the Sally Broten Horse Company. The company raises and trains reining horses.